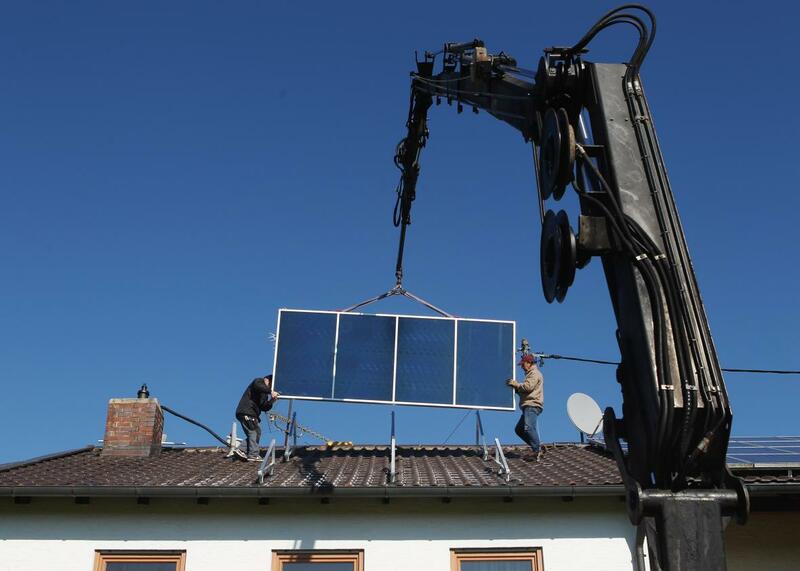 Google Project Sunroof: An astoundingly simple way to get started with solar panels. Project Sunroof uses Google Maps’ 3-D modeling (currently available for hundreds of U.S. cities) to get an idea of your roof’s size and orientation and the amount shade cast by nearby buildings and trees. It combines that data with historical weather information (how often your city is blanketed by clouds, for example) to come up with your estimated number of sun hours each year. Also factored in are current levels of government tax incentives, and local laws like net metering that allow homeowners to sell excess electricity back to their utility company. Other companies have likely been using similar calculators internally for years, but Google’s new initiative aims to make the process more transparent for the general public. While Project Sunroof seems to be purely altruistic at first glance, it could also be a sign that a newly resurgent Google may be positioning itself for a broader piece of the renewable energy market. The cost of domestic solar power installation is declining rapidly—due largely to sharply declining “soft” costs, like marketing and the cost of citing and permitting. That’s exactly where Project Sunroof shines (horrible pun intended). Like Google, Elon Musk is also trying to save the world. Most people have probably heard of Tesla, his electric car company, and maybe even SpaceX, which aims to ensure humanity becomes a multiplanet species sooner rather than later. But Musk’s SolarCity, a miracle company that has begun to revolutionize the process of getting solar panels on people’s roofs, could be his most consequential near-term contribution to the prosperity of the human race. Google seems to agree: Earlier this year, in Google’s biggest investment in renewable energy to date, it invested $300 million into a fund that will allow SolarCity customers to install with zero money down. So it’s no coincidence that Project Sunroof’s trial cities—Boston, San Francisco, Fresno—are all serviced by SolarCity. That said, Google isn’t strictly tied to SolarCity. In fact, on the quick search I tried for Berkeley, California, SolarCity didn’t show up under a sponsored list of solar providers, despite having an office only a mile or two away. That’s consistent with the company’s radical view that by encouraging the growth of renewable energy in general, the entire planet’s economy stands to benefit, with Google right there at the top.